Hell hath no fury like a woman scorned. Especially when she’s wielding a six-foot-long spear she fashioned at home using bamboo, purple spray paint, and a Bedazzler. While taking pictures of costumes at Comic-Con last month, I stopped to photograph a cosplayer wearing a mini-skirt, yellow bikini, and what looked like some toilet paper wrapped around her arm. “What are you supposed to be?” I asked, innocently. She said, “Don’t you know? Final Fantasy!” And then stomped off in a huff. Which is impressive. It’s tough to do “huff” when you’re in a yellow bikini and wrapped in Charmin. Such was the unpleasant capper to my admittedly half-assed efforts to photo-document cosplayers at the conventions I’ve visited over the last couple of years. “Half-assed” because, really, the costume play based on Japanese manga, anime, video games, movies and other East Asian media all sort of blend together to me in a brightly-colored, cartoonishly-accessorized, squeaky-voiced jumble. I have an easier time telling Stormtrooper costumes apart. And they’re clones. Hairdos completely unnatural in their shape, color, and texture. Clothing consisting of colorful robes, kimonos, or–in the cases of female characters–something you’d find on a schoolgirl or on a dancer at a Miami nightclub. Huge swords and other weapons. Like… crazy huge. 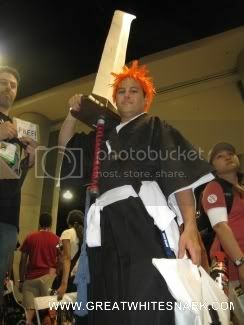 Look around at some cosplay pictures and tell me I’m wrong. In fact, I bet I’m not the only befuddled one. That’s why I’m finally putting the legwork into defining the difference between these cosplay themes and putting the information out there for the rest of the uninitiated among my reader-people. I mean, ’cause I’d hate to put off any more cosplay nerds. Seems like a good way to get my blog hacked and replaced with a bunch of pictures of lolcats. The story begins in Feudal Japan, when InuYasha, a half-demon (han’y? ), steals the Jewel of Four Souls from a village. The Jewel of Four Souls is an item that can increase one’s powers enormously. 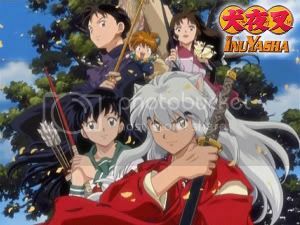 InuYasha does not get far before Kikyo, the young miko of the village, shoots him with a sacred arrow that indefinitely seals him onto Goshinboku, a sacred tree in the nearby forest. After being mortally wounded, Kikyo tells her younger sister, Kaede, to burn the jewel with her body to prevent it from falling into the hands of evil. Ok. Let’s pretend those words were never strung together to form that paragraph, lest my eyes roll back into my head again as my brain pops another important blood vessel. Let’s break it down: InuYasha is what would happen if you crossed Gandolf and Legolas in a red-robed anime character. Who hangs out with schoolgirls. 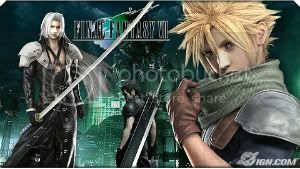 Although most Final Fantasy installments are independent, many themes and elements of gameplay recur throughout the series. The concept of summoning legendary creatures to aid in battle has persisted since Final Fantasy III; common summons include Shiva, Ifrit, and Bahamut. Recurring creatures include Chocobos, Moogles, Tonberries, Behemoth, Cactuars and Malboros. Final Fantasy: prolific video game franchise and bountiful source of names for children’s breakfast cereals. The story opens with the sudden appearance of Rukia Kuchiki in Ichigo Kurosaki’s bedroom. She is surprised at his ability to see her, but their resulting conversation is interrupted by the appearance of a “hollow”, an evil spirit. After Rukia is severely wounded while trying to protect Ichigo, she intends to transfer half her powers to Ichigo, hoping to give him the opportunity to face the hollow on equal footing. Ichigo unintentionally absorbs almost all her powers instead, allowing him to defeat the hollow with ease. Rukia [transfers] herself into a gigai — an artificial human body — while waiting to recover her abilities. In the meantime, Ichigo must take over her job as a Soul Reaper, battling hollows and guiding lost souls to Soul Society. Yeah. “Wholes.” Put it in the context of a cartoon that objectifies women, and “wholes” sounds a lot like a demeaning word that resulted from someone squishing two nasty slurs together. But supposedly it means “a benign spirit of a person who has died.” Uh-huh. 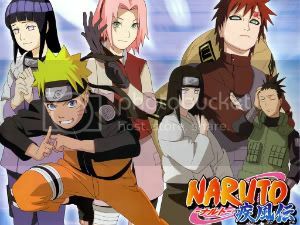 Now I see why some people get in a tizzy when I confuse Naruto and Bleach. A monkey-tailed boy named Son Goku is found by an old martial arts expert and raised as his grandson. One day, during a full moon, Goku transforms into a giant ape and accidentally kills his adopted grandfather, but later has no recollection of it. Several years later, Bulma, on a quest to retrieve the seven Dragon Balls and have her wish granted by the dragon that will appear, meets Goku, now living alone with the four-star Dragon Ball that he treats as his dead grandfather. 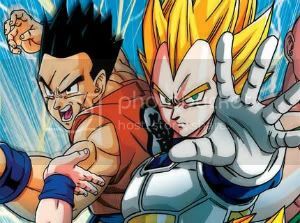 Goku decides to accompany Bulma on her quest, and along the way, meets and befriends many martial artists, undergoes rigorous martial arts training regimes and educational programs, and faces various challengers and villains, often at the Tenka-ichi Bud?kai. Ah, yes, the age-old story of a boy who transforms into a giant ape during a full moon and accidentally kills his adopted grandfather. And then pretends some Dragon balls are his dead grandfather. Timeless. Let’s cast the movie a get a release date. Find cosplay costumes and accessories on Ebay! This is why I don’t like anime.